Our house is about one kilometre away from a large granite rock the top of which is probably 200ft above the TV antenna. Predictably this did cause a black spot. I recall that Hans changed the antenna (to a lower gain one) and reduced the problem area considerably. Dad was sold on it and we purchased four radios – a sizeable investment, but one that paid for itself hundreds of times in time saved by better communications. From then (this would have been around 1978 – 1980) until about five years ago (advent of better mobile coverage), UHF CB was the standard method of farm communication around the wheatbelt. Each farm used a particular channel and town directories were published with people’s UHF channel. Inevitably you shared a channel with someone else and often got an interesting insight into their family relationships. On one memorable occasion we heard one of our neighbours telling his wife off when he could see her turning in the wrong direction whilst bringing his lunch out to the paddock. For the rest of the afternoon his plaintive calls of “Are you there Love?” went unheeded. We had pretty good experiences with the FM320’s. They were used in very harsh conditions particularly with regard to heat and vibration. The only failures I can recall were the numbers on the channel display slowly dying. This didn’t bother us much, as 95% of the time we were on ‘our’ channel. This was facilitated by a switch that allows you to lock to a nominated (NOM) channel. You had to choose the channel when you ordered the radio. We were channel 1. We later added some more FM320’s, but I replaced them all with GME TX4000’s in the 1990’s. The attraction of this upgrade was selcal (selective calling). The GME’s could be placed in quiet mode with the squelch locked down until a sequence of tones were transmitted by pressing a button on the microphone. This allowed the radio to remain on at night in the house, without people chatting waking my wife and babies while I was driving the tractor – but still being able to get in contact if I needed something. As part of this project, I’d like to change the nominated channel. I think if you don’t use the nominated channel the radio powers up on channel 40. The class licence for UHF CB allows for data to be sent on channels 22 and 23 only. I doubt a DTMF tone would annoy anyone, and it’s possibly legal anyway (since the selcall tones apparently were) but I like to do the right thing if I can. 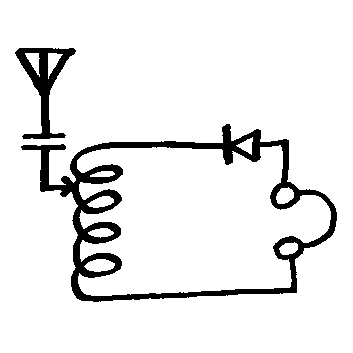 The circuit diagram (which is in the user manual – ahh, the good old days!) shows a number of dotted diode links near the NOM switch, so doubtless these are the system for setting the nominated channel. Looking around inside the radio this these are the likely suspects. Look at those clear markings and that nice big through hole soldering with components you can see without a magnifier. What a pleasure it must have been to fix electronics in the 1980’s! I can’t find a mapping of the diode links to channel numbers anywhere on the Internet. My radio is set to channel 1 and the diode pattern seems to be 0000 10 so it’s not as simple as a binary version of the channel number. I’ll have to play with shorting some more links out and seeing what happens to try and come up with a scheme. The exact sort of problem I enjoy! Update: I’ve figured it out. Posted on January 26, 2016 by I Bailey. This entry was tagged CB, FM320. Bookmark the permalink.